With improved on-line condition based data, users receive condition based alarms when problems first arise allowing problems to be detected early and appropriate actions to be taken before problems escalate. The advanced analytics within the monitoring system filters through the condition data to automatically identify issues requiring maintenance attention. This allows the Operations & Maintenance crews to focus on resolving problems rather than consuming resources to manually collect data for off-line condition assessment and provide an optimal platform for condition based maintenance. The real-time measurement of operational parameters allows the dynamic rating of the transformer to be determined and optimal performance realized. Provides faster interpretation of data and reduces the chance of data entry errors. Historical data is presented in a graphical format to easily indicate trends. Voltage and control settings are drawn graphically for easier system testing. Adjustable font size allows the user to choose the optimum balance between easy visibility and quantity of content per screen. F1, F2, F3 and F4 keys allow for dynamic system navigation. Easy access to your programmable favorites. Customized maintenance inspection screen to simplify data entry for your crews. Summary Status LEDs provide quick status indication. The display provided is connected to the main control via a single connection. The user display can be installed in a readily accessible location such as on a swing panel. This allows all control and monitoring connections to be made directly to the main control assembly typically installed on the back panel of the control cabinet. With this approach, the critical control and monitoring connections are not subject to stress when the swing panel is opened and closed. A multi-level password management system provides the appropriate level of access to different user groups. The responsibilities for each user group can be defined by the user. Secure password entry and setting changes are made faster and easier with a full keypad. Audible feedback is provided following each key stroke to help prevent entry errors. Since the swing panel of the transformer cabinet can extend out past the cover of the control cabinet, the installation of the main control on the cabinet’s back panel provides additional protection from rain, thus protecting both the main control and all the connections. The user display will withstand ambient temperatures of -40°C to +85°C and its operating temperature range is -20°C to +70°C. For more extreme operating temperatures, the remote user display option is recommended. 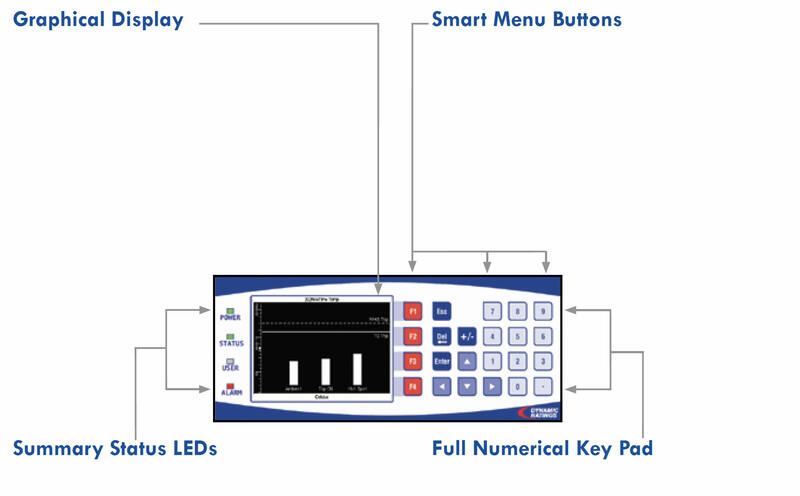 A rack mount LCD and keyboard combination provide a convenient way to view monitored hardware status in a control room. The remote hardware does not utilize a PC operating system. Therefore, it eliminates security and operating system maintenance issues. A dedicated communication line (PCS, fiber, wire or wireless) is used to display and navigate the graphical pages served by the Dynamic Ratings control. A single remote screen may be used to view the information on one or more monitoring systems. The system can be specified to use a touch screen, trackball, touchpad, pressure sensitive pointer, or stand alone mouse. 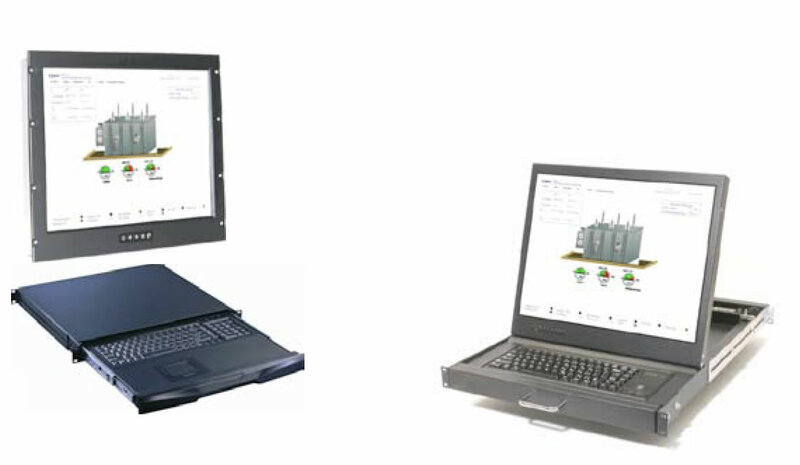 For control rooms where rack space is limited, a folding LCD display is available. USB ports with auto-detect feature allows files to be easily downloaded directly to a USB drive. Connection for setup, configuration or downloading files can be made using either the USB ports, Serial, Copper Ethernet or Fiber Ethernet ports. The USB type B ports allow the use of USB data connections to other smart sensors (IED’s). Ethernet link supports simultaneous SCADA communications and multiple connections for the built-in web pages. Real-time hardware clock provides time and date stamped data storage and event recording. 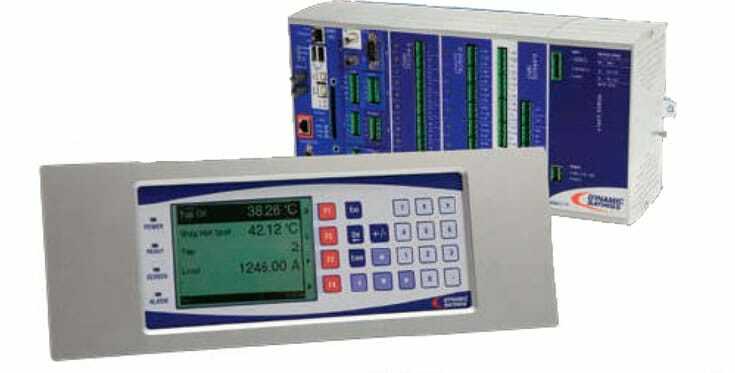 The clock can be synchronized via DNP, Modbus, NTP and is maintained when the SCADA link is down or the control is powered off. A Status relay provides an indication of loss of power or monitoring system failure. 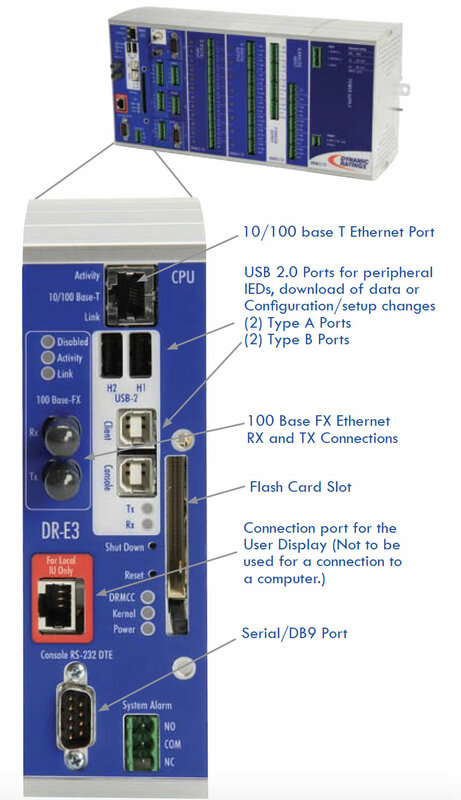 1 gigabyte industrial flash card provides non-volatile data storage at user defined intervals.